Kneaders, a Utah-­based chain popular with many eastern Idahoans, has plans to open in Sand Creek Commons by the end of July this year, according to papers filed last week at the Ammon Building Department office. The building permit filed March 30 shows plans for building of 4,214 square feet, with a kitchen and serving area of 2,226 square feet and a seating area of 1,618 square feet. Occupancy for the entire restaurant is 143. The estimated completion date entered was July 31. 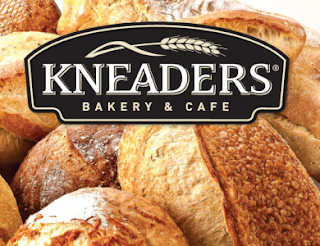 Kneaders dates back to 1997, when it was founded by Gary and Colleen Worthington. It specializes in European hearth breads made from scratch on site daily, as well as gourmet sandwiches, soups, salads, pastries and breakfast items. It also provides catering services for groups of all sizes, from birthday parties to weddings, and offers a variety of retail products including award-­winning gift baskets and holiday­-themed gifts. So far, the company has 42 locations in Utah, Colorado, Arizona, Texas and Idaho, where it opened its first store in Meridian. Like many chains, there is a mix of franchise operations and company­owned stores. The Ammon restaurant will be company owned. Commons, said that when courting tenants for their projects they have sought a lot of input from locals. Because so many people travel from eastern Idaho to Utah, there has been a lot of interest in Kneaders. “It’s been one of the most common requests in the last two or three years,” he said.